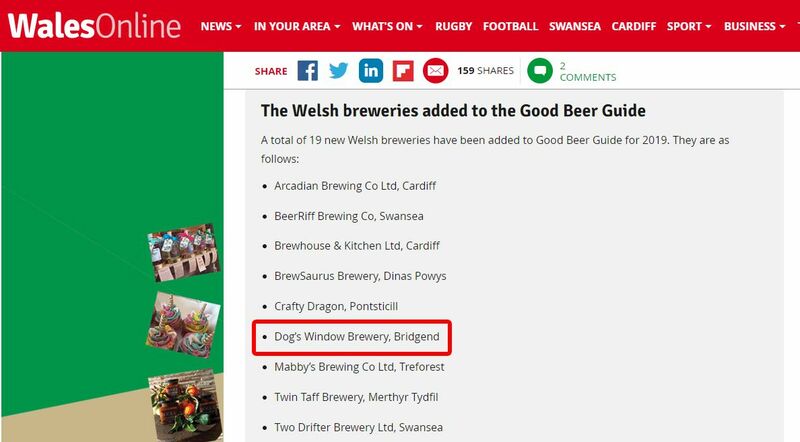 We are extremely pleased to see our little brewery in Bridgend is now listed in the Good Beer Guide. Known as the beer-lovers’ bible can be found on the CAMRA website the book lists recommended pubs across the United Kingdom that serve great beer. As well as this the breweries section lists every brewery – micro, regional and national – that produces real ale in the UK as well as mentioning their beers.